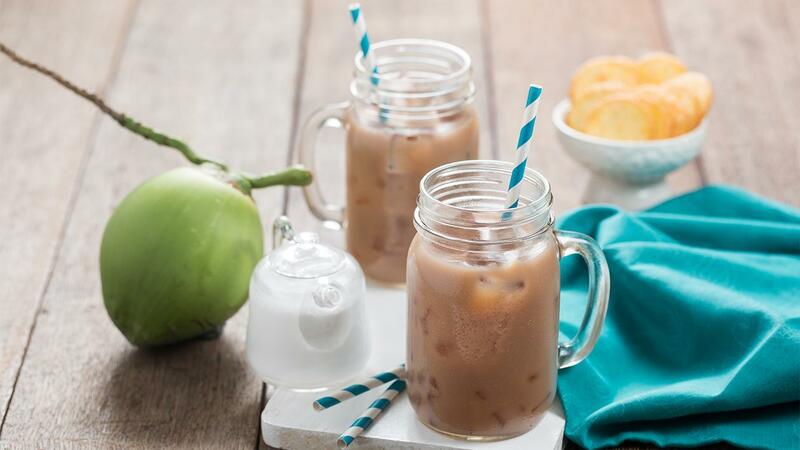 Taste a wonderful combination of tea and coconut milk. Prepare 2 serving glasses. Put Sari Wangi Teh Celup Jumbo and pour about 200 ml hot water into the glass and do the same step to another glass with the same tea bag. Pour a half cup of coconut milk into each glass. Then, add some sugar as the sweetener and stir them well. Add some ice cubes as you want to. Finally, it's ready to serve.